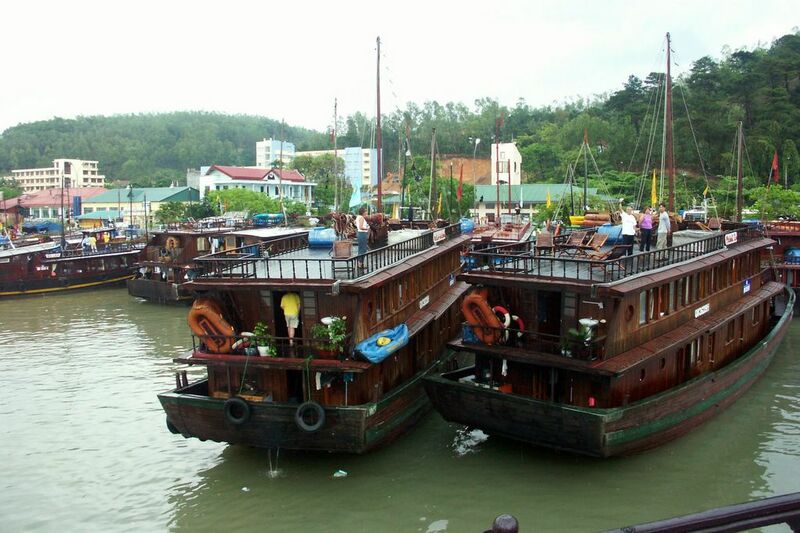 Many travellers ask the same question about means of transportation which can be used to transfer from Hanoi to Halong bay. There are several choices and this article will show you. Halong bay is about 160 kilometers far away from Hanoi so it normally takes you from 3.5 to 4 hours to get there. Catch a bus which costs around 3 USD/ticket in Gia Lam Bus Station to Mien Tay Bus Station in Bai Chay, Halong city. However, you should prepare Vietnam Dong (Vietnamese currency) because the bus does not accept USD. Besides, noone in the bus can speak English, so it is quite inconvenient. Train is the 2nd Price for one ticket is 20 USD. The train takes you from Gia Lam Railway Station to Halong Train Station which is 4 kilometers away from the Bai Chay Tourist Wharf. If you are near Old Quarter of Hanoi, you also can take a shuttle bus by Hanoi local tour operator in the morning. For one way, it costs 10 to 20 USD/ person. If you are in Noi Bai Airport, you can rent a car with a driver to travel to Halong city. For this service, the price is a little less than 100 USD for one way. Parking fee, tolls, petrol and driver are included. If you go with your team, it is a better choice to rent a car with 16 seats. It costs 140 to 150 USD for 2 days 1 night. You can take the cargo train from Hanoi to Yen Vien, then to Quang Ninh province. Note that the terminal is 50 kilometers from the harbor. Besides, train delay and cancellation are expected. However, the rate is only 10 USD/ way. This mean of transportation is only available for departing from Hanoi center. The shuttle bus is like a tourist bus which leaves Hanoi at 8:00 am and return from Halong Bay at 12:00 every day. If you stay at a hotel in Hanoi Old Quarter, the bus will pick you up from your hotel. 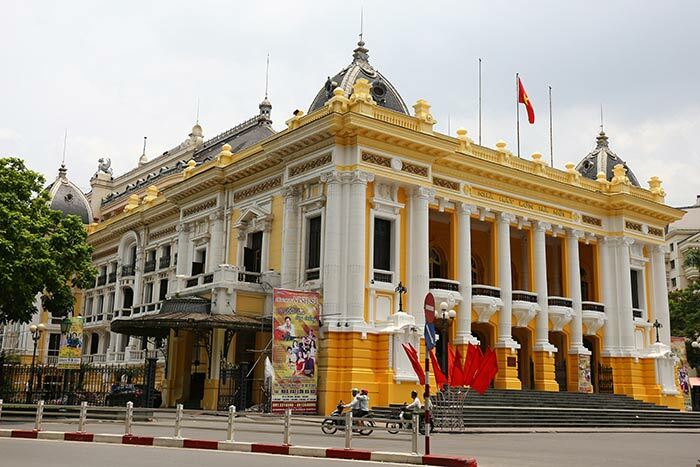 If not, you have to take a taxi to the meeting point which is in front of the Opera House, No 1 Trang Tien Street. There are maximum 14 people on the bus. For one person, it costs 12 USD/way. 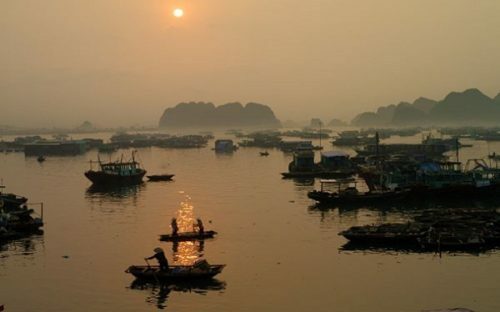 Seaplane is the fastest way to transfer between Hanoi and Halong bay if you do not mind the cost. 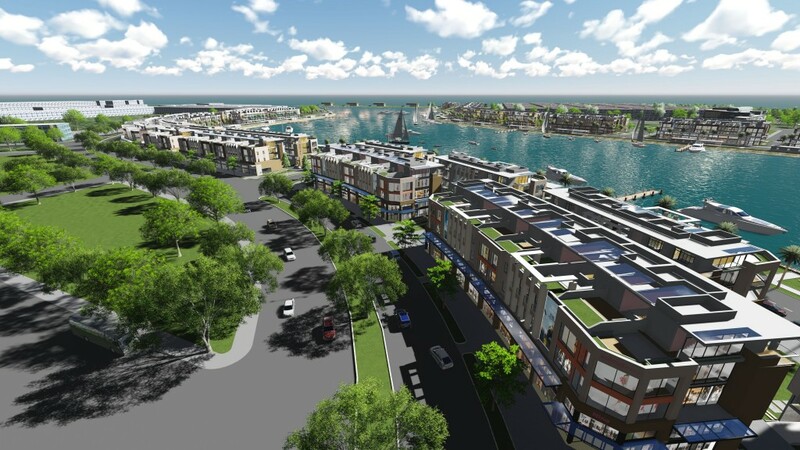 Just 45 minutes, the seaplane will take you from Noi Bai International Airport to Tuan Chau Marina. 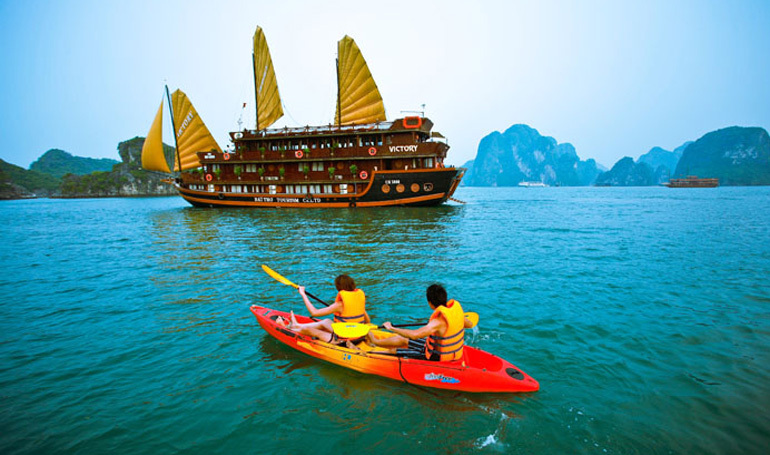 Besides, you will have 15 minutes for sightseeing the whole Halong bay. You have to pay 275 USD/ person/ way. 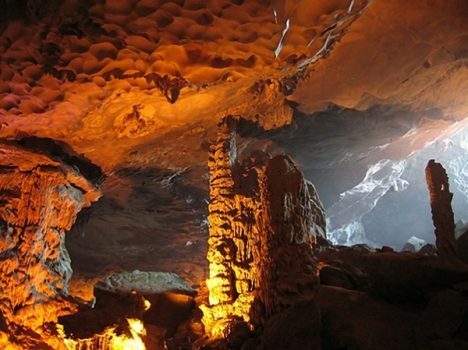 Above are several options about types of transfer from Hanoi to Halong bay. Take them into consideration and choose the most suitable one. Wish you a safe and sound trip and unforgettable moments in Halong bay.